I’ll admit, I was really quite reserved when The Cleaning Gurus initially contacted me about reviewing their services. Firstly, my OCD is pretty intense when it comes to um, most things, and secondly, well, I like things done in a very specific way. But when they offered a month’s free cleaning in return for a blog post, I didn’t turn them down – would you?! Who are The Cleaning Gurus? The starting rates are £12.50 for regular cleaning jobs but they offer a year subscription service that does make this 10% cheaper. If you are looking for a one off job, then the rate is £15.00 per hour. 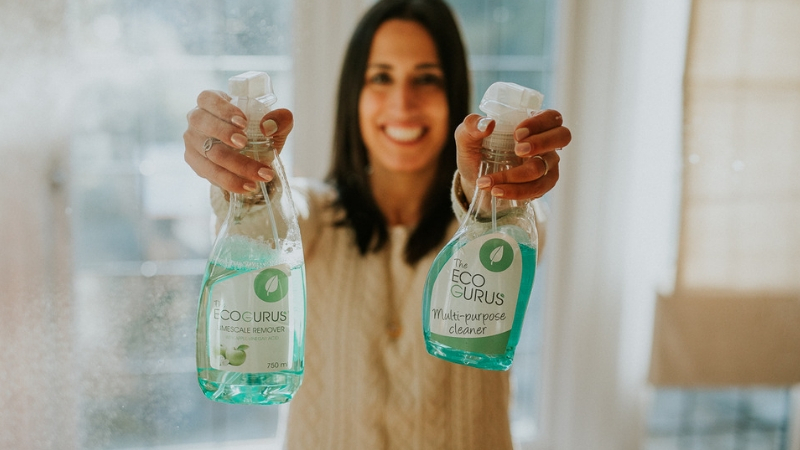 The Cleaning Gurus also offer a referral scheme where you get 10% off if you recommend them to a friend and your friend can benefit with the same discount too. 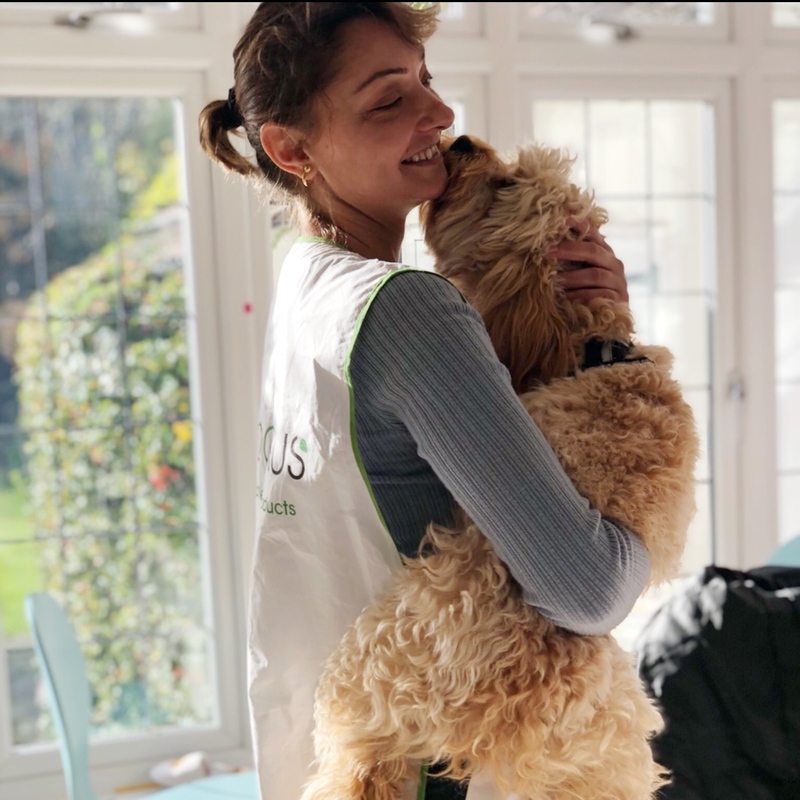 As mentioned previously, The Cleaning Gurus approached me with an offer of a weekly cleaning service for one month in return for an honest blog post review. We agreed that if I was not happy with their services, then I could terminate at any time. 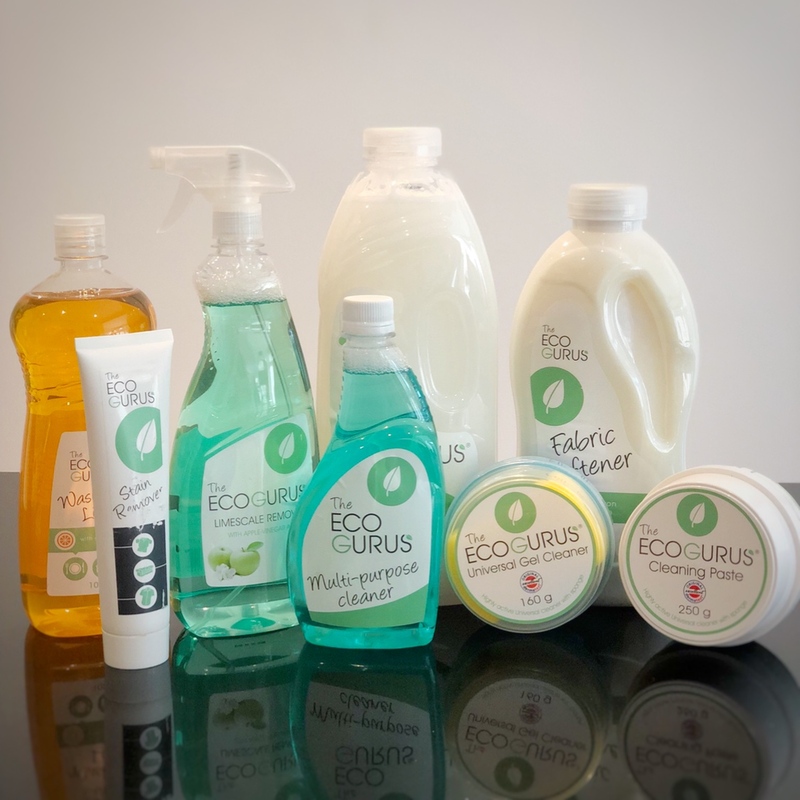 I was also sent a range of the new Eco Gurus products to road test – my favourite, the washing up liquid (it smells divine). 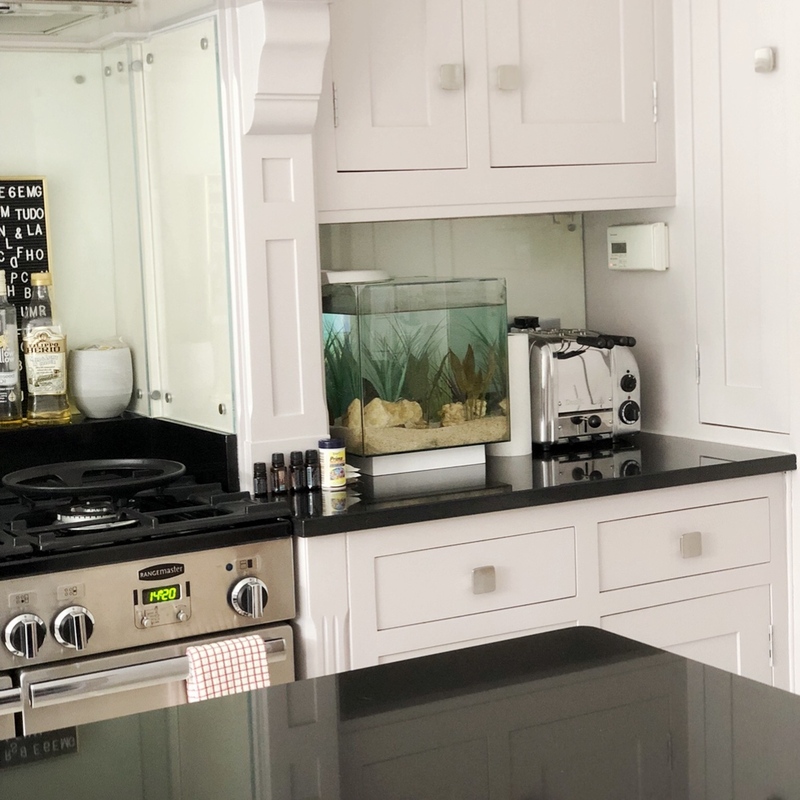 Before The Cleaning Gurus first visit, we had a conversation of what I’d like carried out at home – a deep clean and how we were going to go about it. A few days before the cleaner was due, I was sent an email with her full details and the time she was due to come. Her name was Emel. She was punctual, polite and entered with a smile, already a huge tick in my book. Emel chose to clean the kitchen first. I remember watching her in awe, gawking over the fact that she started emptying the contents of our cupboards, wiping them down thoroughly and using her initiative to arrange things in a practical manner that would benefit us on a daily basis. This was soon followed by the fridge – to this day (over a month later) – our staple items are stored the exact same way Emel set them out. Our toaster, oven, washing machine and kettle still look brand new. I have never seen someone work so tirelessly, cleaning every nook and cranny. Not one spot was missed and as soon as she left each week, I was counting down the days for her return. Over the course of the remaining 3 weeks, Emel spent her time cleaning our bathroom, bedrooms, landing, hallway, dining room and living room. She washed our tiles, cleaned our washing/dryer machines, wiped down the skirting around the house, cleaned the bannister (top and bottom), scrubbed the floors, rearranged things, cleaned our fireplaces, re-modelled our fire places by filling them with beautiful flowers, dusted each window shutter, put H’s room in order and played a little with our pup who fell in love with her. (He cried every time she put her coat on to leave. And you know what, I can totally relate to him). This Saturday will mark the first week that The Cleaning Gurus won’t be here and we already know that our Saturday morning won’t be the same. I’ve always been skeptical about using a cleaning agency, but this is one that I’ll never hesitate to recommend or use. They are absolutely bloody fantastic and the services they offer are second to none. I will be using them again, requesting Emel again, and this time I’ll be paying – because they’re worth every penny. 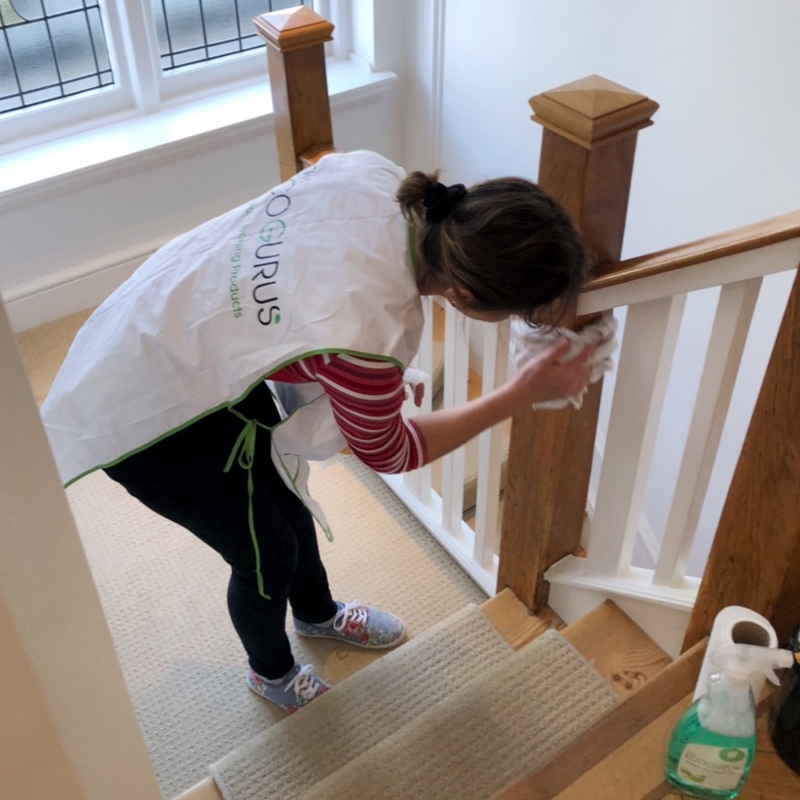 For more information on The Cleaning Gurus and the services they offer then head over to – Professional Cleaners in London.